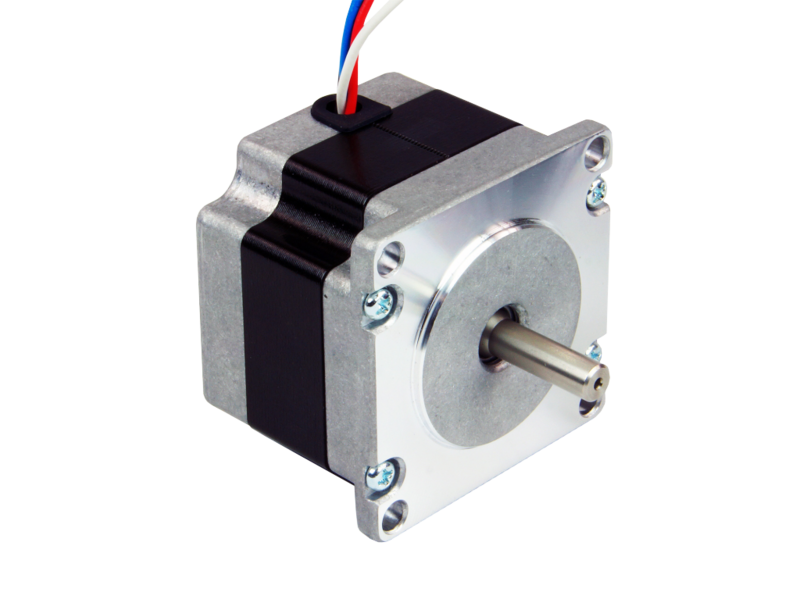 0.9 degree step motors are advantageous when a microstepping drive is not available. Because 0.9 degree motors have twice the step resolution (400 steps/rev) than 1.8 degree step motors (200 steps/rev), they run inherently smoother when driven with full or half step drives, like the 2035 step motor drive. Microstepping drives, like Applied Motion’s ST, STR and STAC drives, nullify the smoothness benefit of 0.9 degree step motors because these drives are capable of creating equal smoothness with 1.8 degree motors. However in some applications microstepping is not available, such as when a very basic full or half step drive is used, and for these applications a good way to gain smoothness is to use a 0.9 degree motor.